It is available for 86500 Euro. Our MAN TGS 26.440 hook lift truck are available in a dealer's stock under your request. 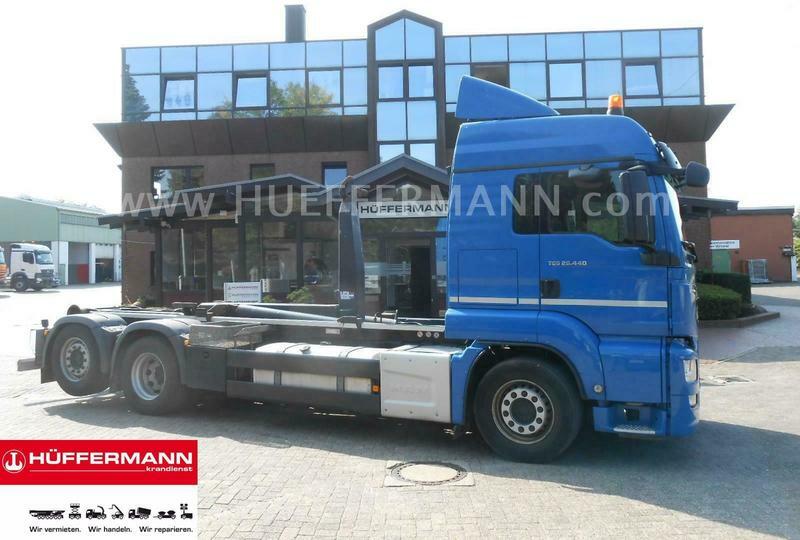 Engine/driveline: Euro 6, diesel, displacement: 12419 cc, 441 hp, gearbox: automatic, retarder/intarder. Chassis configuration: 6x2, number of axles: 3, ABS, EBS, ESP - electronic stability control, trailer coupling. Cab design: cab type: sleeper cab, air conditioner, parking heater, cruise control, navigation system. The mileage is 133500 km.